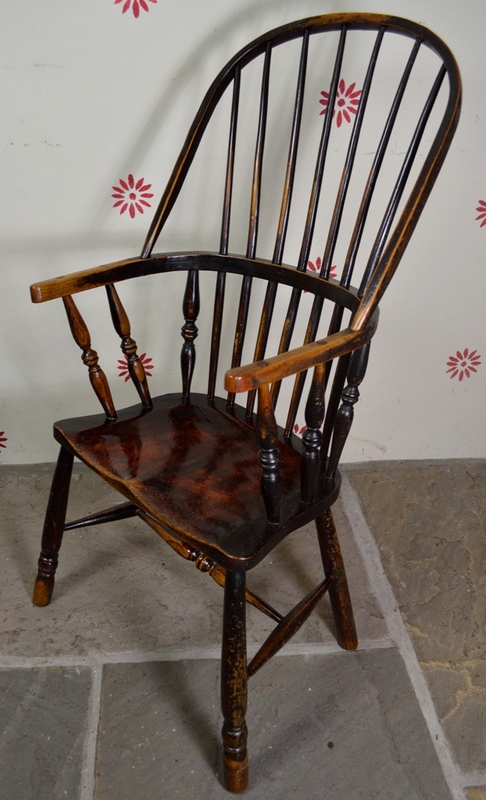 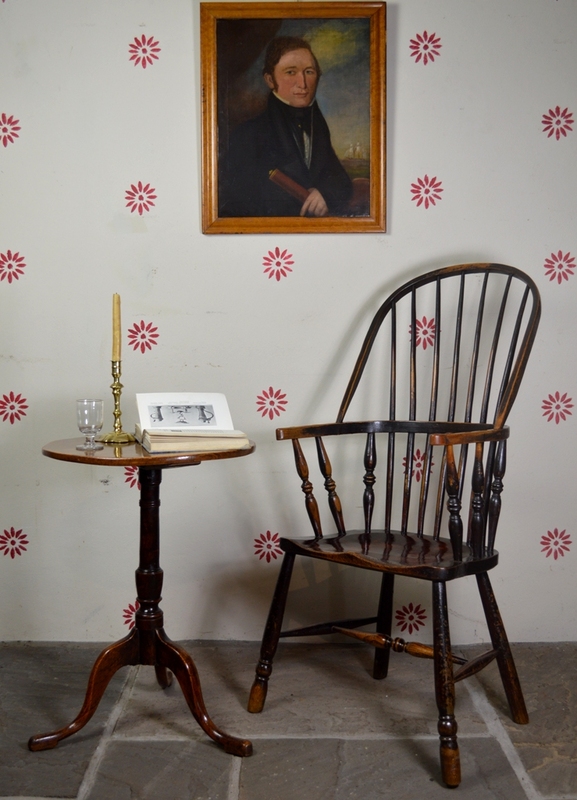 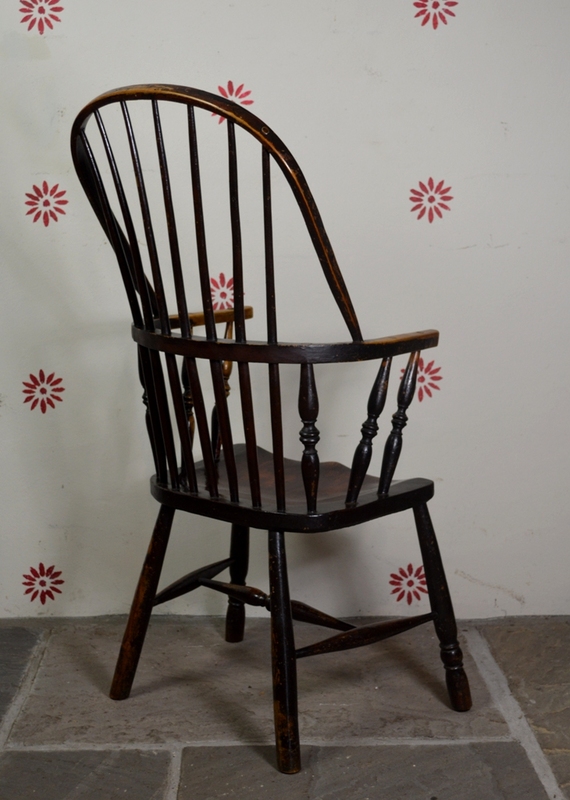 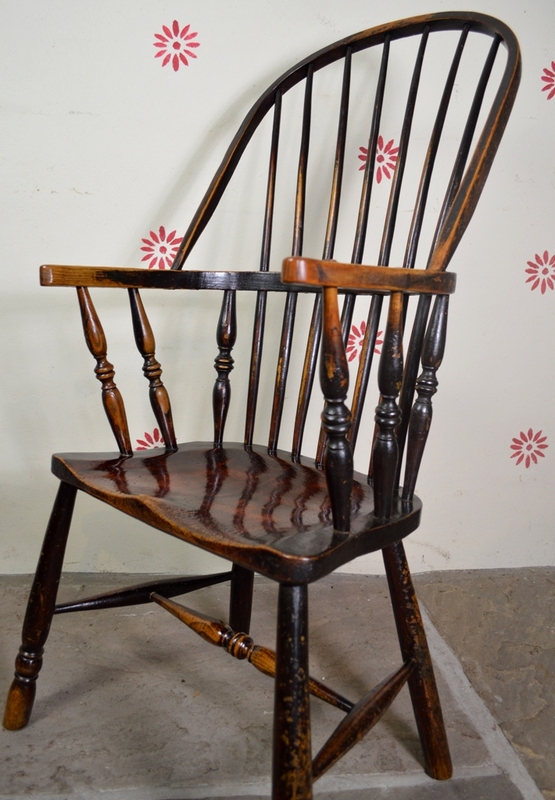 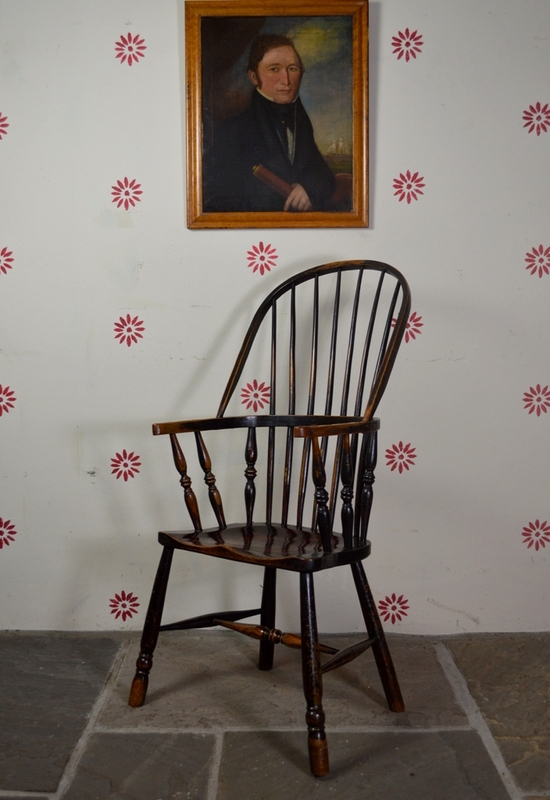 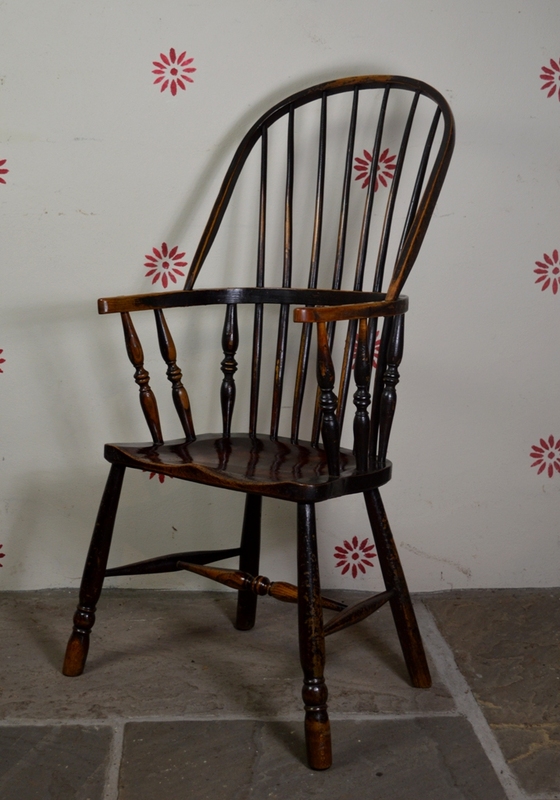 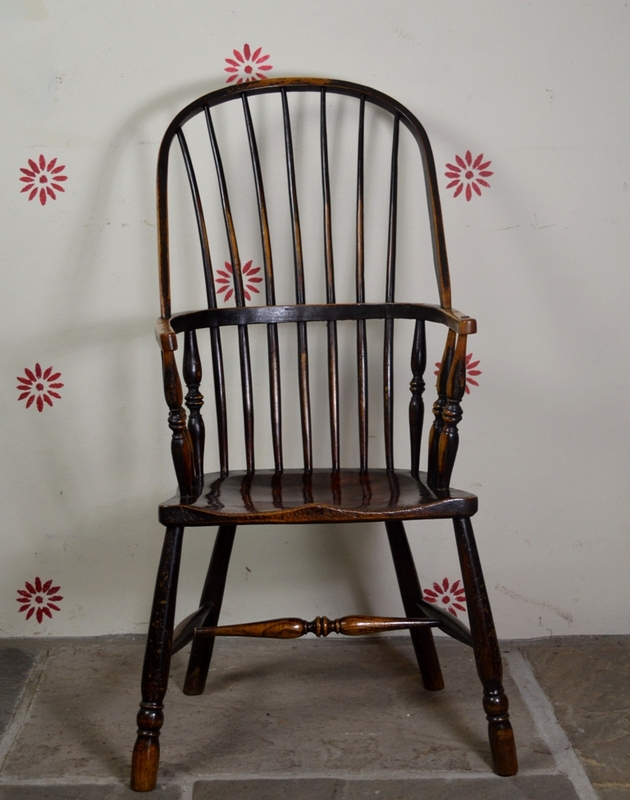 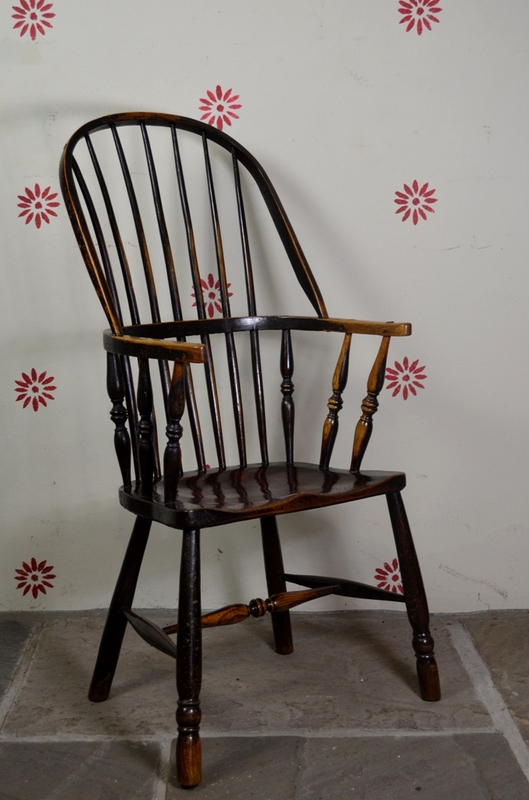 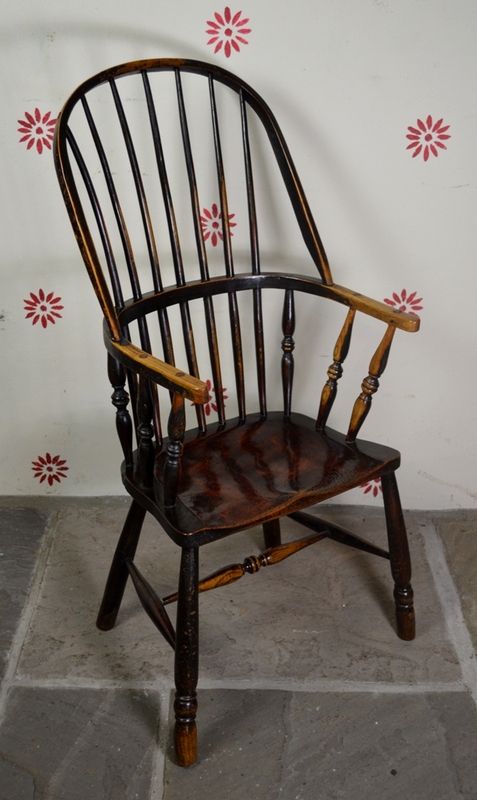 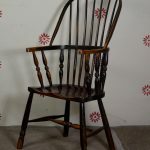 A West Country hoop-back chair which is made from ash, beech and with a sycamore seat. 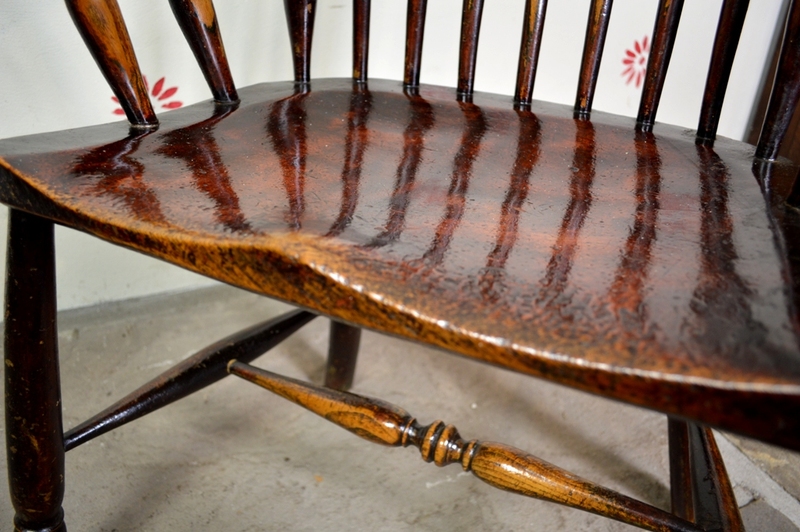 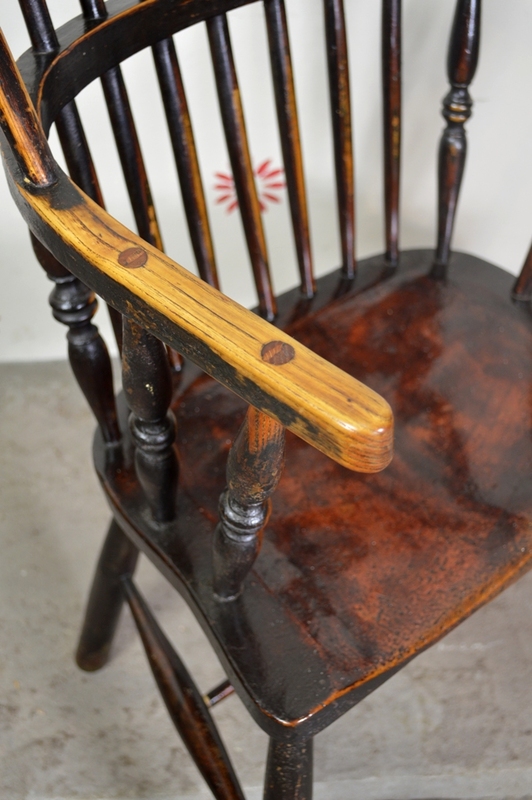 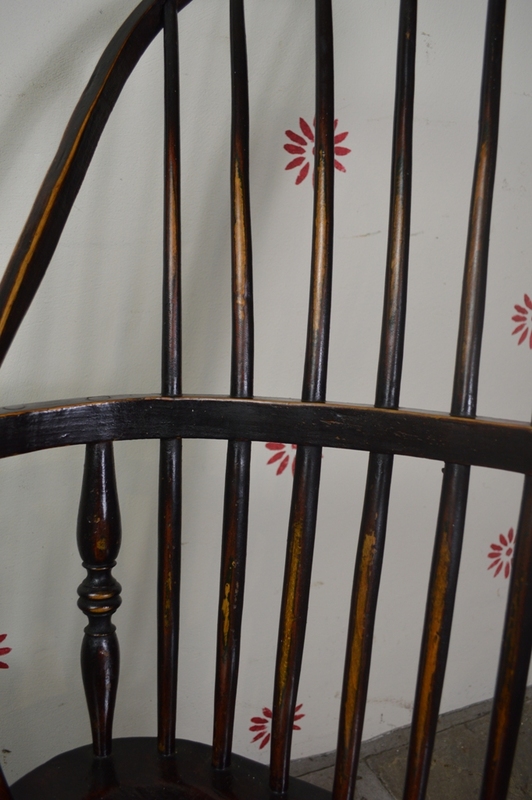 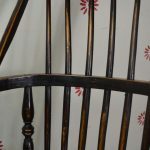 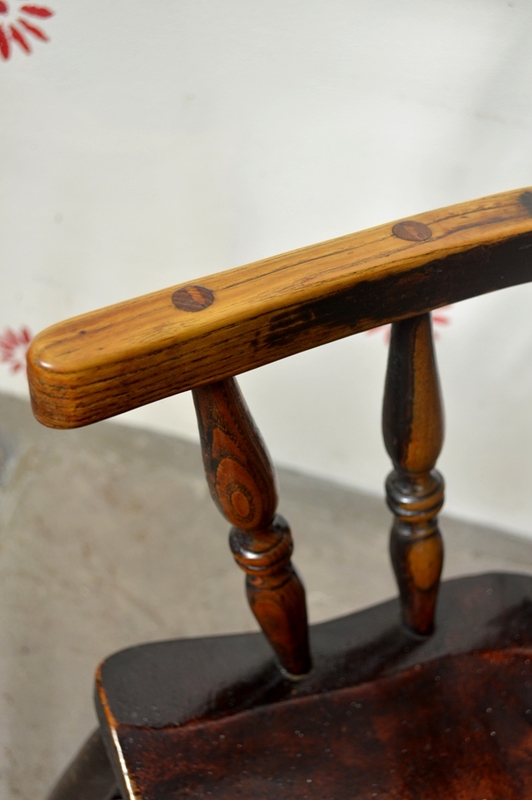 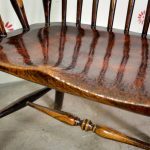 It has a wonderful worn finish -original green paint with a later black varnish. 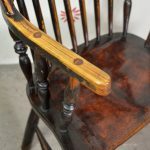 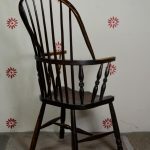 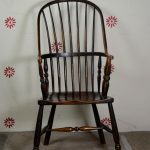 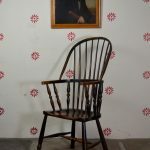 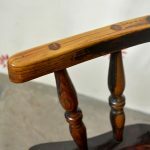 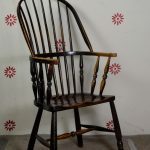 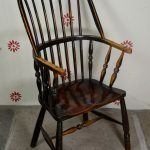 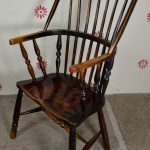 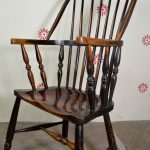 It is very similar to a group of chairs in Bill Cottons book “The English Regional Chair” which are attributed to Cornwall, some are stamped “Eathorne maker Penzance” this one is not stamped, but I think you could confidently say that this chair belongs to that group of chairs.